Little borrowers will have their own special section when the new Central Library and Archive opens in Halifax next month. The new children’s library, for young readers and their families, will be on the ground floor of the new building, close to the reception and new Visitor Information Centre. It has been specially designed to appeal to youngsters, with bright vibrant colours and specially commissioned child-sized furniture. Young visitors will even have their own entrance to the section, framed by giant reproductions of popular children’s books. “Children young and old will love our new children’s library. It’s a really clever design which means the space is very flexible, it can be used for story time sessions and craft activities, for studying or for simply enjoying a good book. An oversized storytelling chair has been specially commissioned for the new Children’s Library. 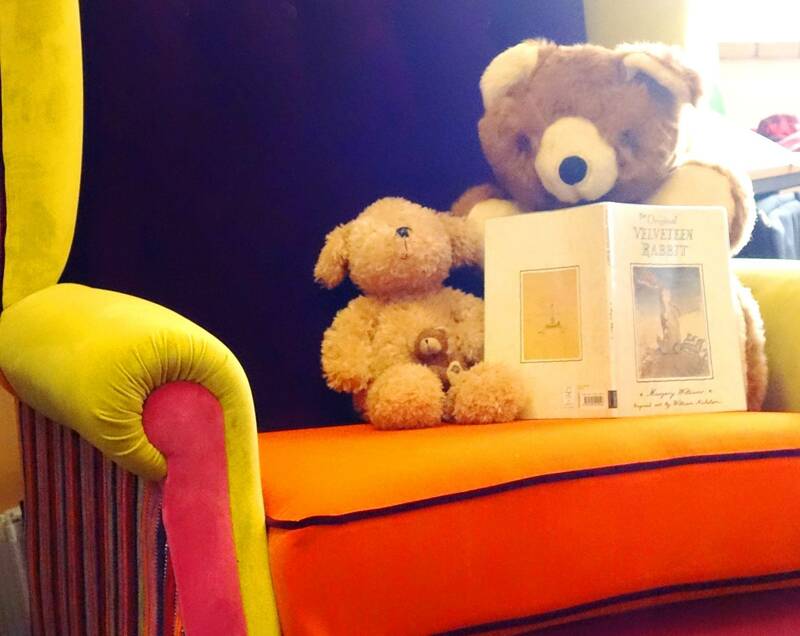 Handcrafted by A&B Antiques in Hipperholme, with brightly coloured, velvety fabric, the chair is perfect for an adult and child to snuggle into while they share a story. Teenagers and young adults have not been left out as they can relax in their own special area on the first floor next to the digital media section. Here they’ll find the very best fiction and non-fiction, from travel books to manga. The new Central Library and Archive will be officially opened by Dr Jonathan Foyle, writer and architectural historian in the presence of Calderdale Council’s Mayor, Cllr Ferman Ali, on the afternoon of Saturday 9 September 2017. To mark the occasion performance poet Paul Cookson will run two fun filled sessions for children and families during the day. The new Central Library and Archive has been wholly funded by Calderdale Council. To find out more about the official opening and the new Central Library and Archive visit our website or follow Calderdale Libraries on Twitter @CMBClibraries and like our Facebook page. This entry was posted in Children, Libraries. Bookmark the permalink.